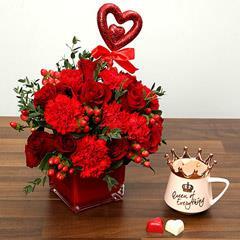 The magic of being in love is magical!! 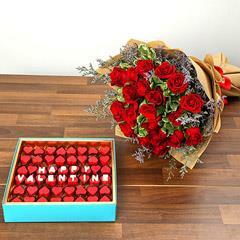 Roses are the perfect representation of love and gifting roses will completely explain the story of your heart. 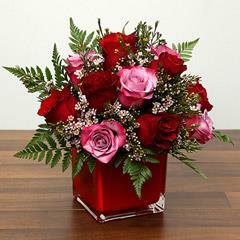 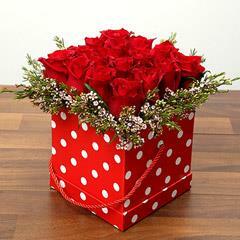 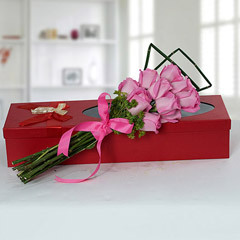 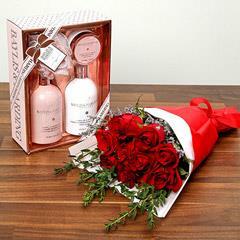 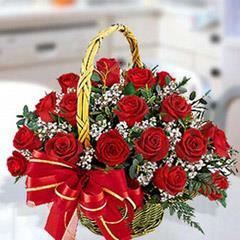 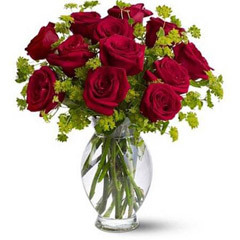 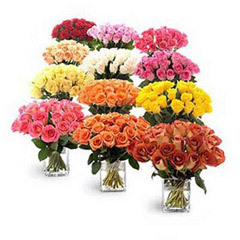 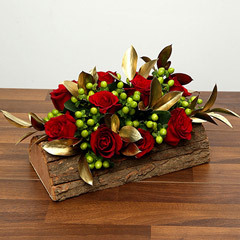 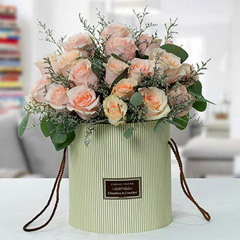 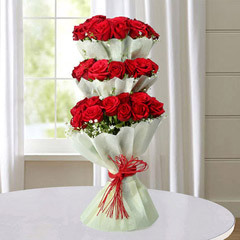 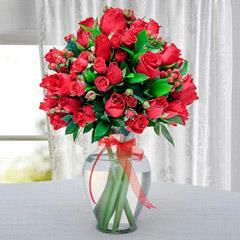 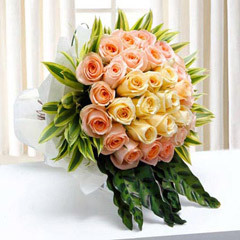 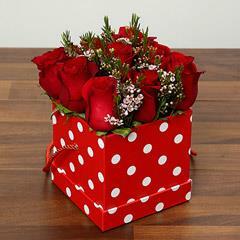 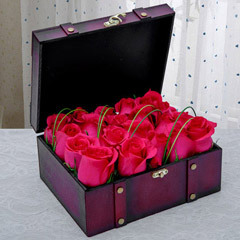 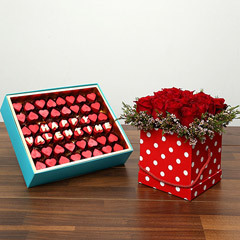 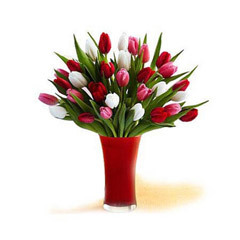 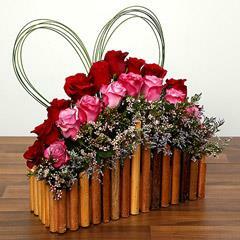 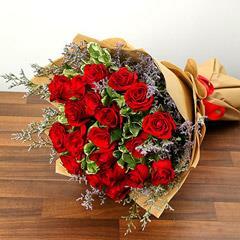 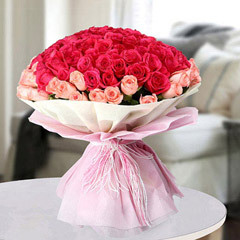 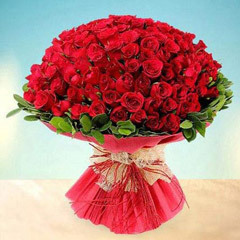 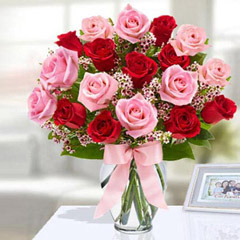 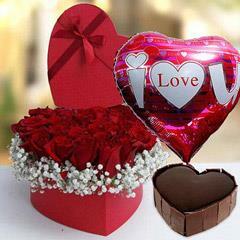 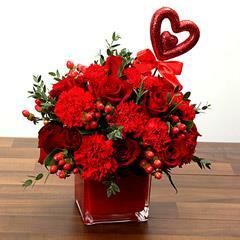 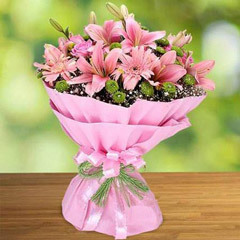 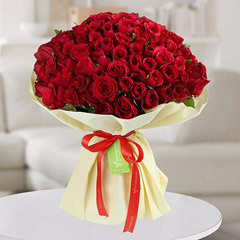 Our below range of enchanting rose day flower gifts is something that must be explored. 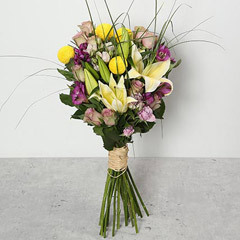 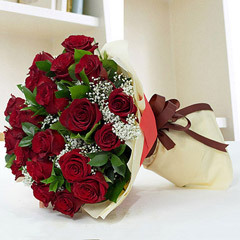 Just scroll below to experience the simplest ways of rose day flowers and gifts delivery in UAE. 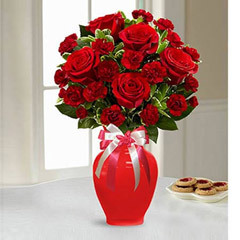 The valentine week is going to bang at our doors in the nick of the time and you must be looking out for some really enchanting rose day flowers gifts. 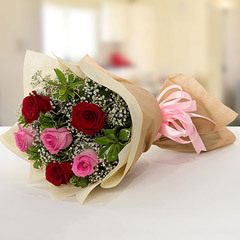 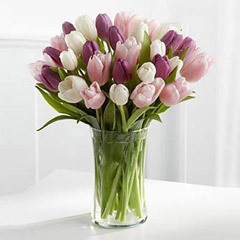 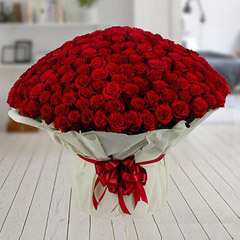 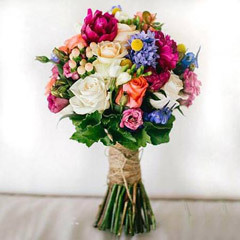 Particularly, people who know that they are going to be away from their sweethearts in UAE, on this special day must be looking for a simple and reliable way of sending rose day flower gifts to Dubai, Ajman, Sharjah and other locations in UAE. 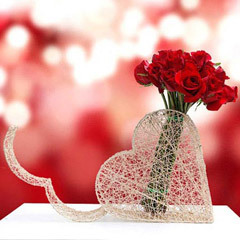 Just make sure that distance does not become a barrier in the way of your love! 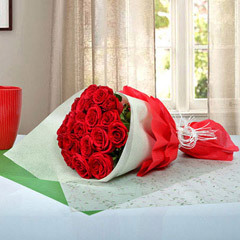 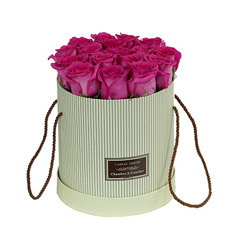 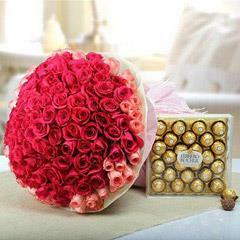 Choose thoughtfully an idyllic rose day flower gift, so that it can get the profound touch of love and affection. 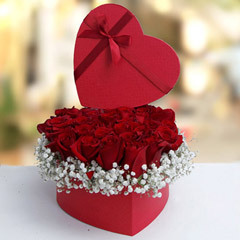 There’s nothing as pure as that pure feeling of love and when it comes to expressing it, you need to be mindful. 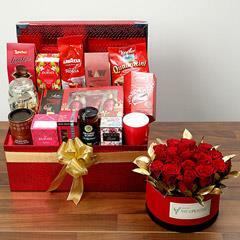 We have a huge variety of rose basket arrangement, rose bunches, rose flower bouquets and other hamper and combos that will definitely be a surreal experience for the recipient. 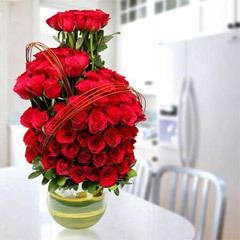 The beautiful rose flower arrangement for valentine including that of the heart-shaped rose arrangement is something special to gift to your sweetheart on the upcoming Rose Day. 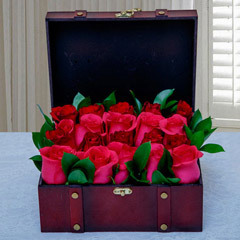 And, if you want to surprise your sweetheart sitting miles away from you in UAE then you have come across the right platform. 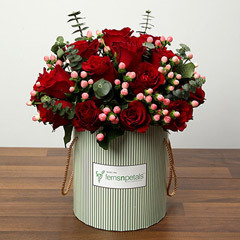 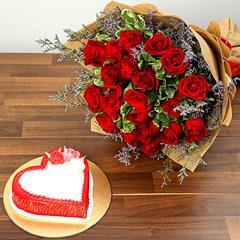 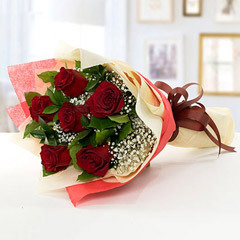 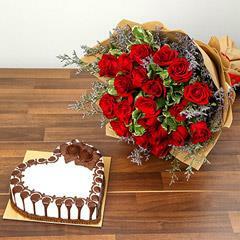 Here, we have this perfect platform for online rose day gifts delivery to UAE via express delivery services and that will definitely bring symphony in the day of your sweetheart. 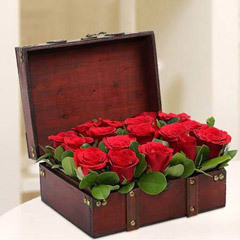 Don’t for a chance, make one, no matter both of you are close or at a far off place, to bring the much needed life and magic in your relationship.